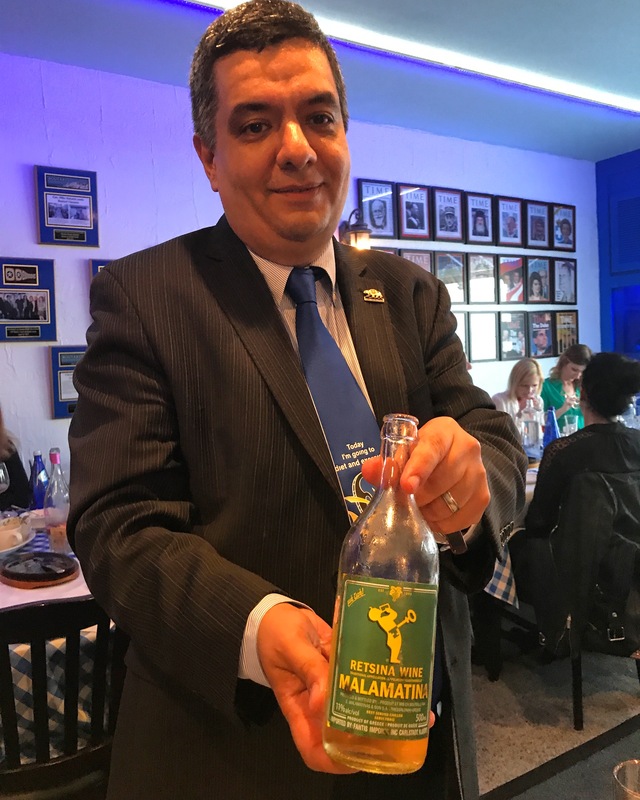 Los Angeles, Ca – May 31st, 2017 – The Hollywood Press Corps stopped by The Delphi Greek restaurant in Westwood for a delicious press dinner. Roozbeh Farahanipour and his wife, Rana, are well known in the West Los Angeles restaurant scene. 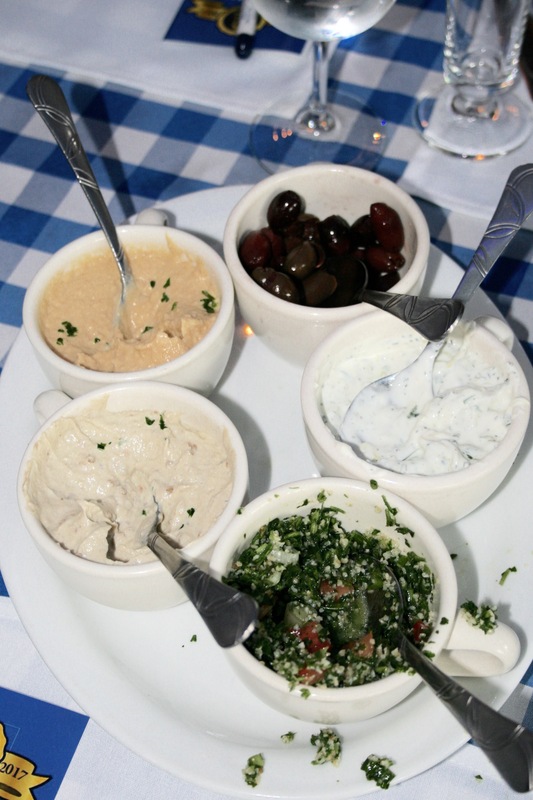 The Delphi Greek has been providing quality food in Los Angeles for over 30 years. Roozbeh became the owner of this West Los Angeles eatery in 2009. Roozbeh Faranipour is the nicest guy I know in West Los Angeles. Roozbeh loves his restaurant and the food he serves. As soon as we arrived for the press dinner, Roozbeh poured me a big glass of Retsina wine. The word retsina comes from the word resinated. Retsina is a famous wine in the Mediteranean region for its pine flavor that originally came from the pine resin that was used to seal the cask. It has a strong taste and its flavor is used in Greek food. I have to say, my favorite thing about Delphi Greek are the cold appetizers. I don’t know a place that does Hummus and Tabouli better. I could eat just pita with hummus and tabouli at Delphi Greek it’s so good. Hummus, of course, is just Garbanzo beans whipped up with some lemon juice. The hummus is super fresh at Dephi Greek. The Tabouli has wheat, tomatoes, onions, parsley, lemon juice and olive. So tasty. We ordered another pile of warm pita bread so we could eat all of the appetizer plate. We were also treated to Tzatziki, which is one of my favorites. Tzatziki is yogurt, cucumber and olives. Again, no one does Tzatziki as good as Roozbeh and his culinary team. Also on the cold appetizer plate, you simply must try the Melitazanosalata. This is a Greek style babghanoosh. It’s eggplant whipped with yogurt and tahini. All the appetizers were so good. We were drinking our wine and saying, “Opa!” which is the Greek way to celebrate life. As the press dinner proceeded, we were treated to the flaming cheese dish that is a popular Greek appetizer. The dish is called Saganaki. It’s quite a spectacle to see the server light a pan of cheese on fire and sear the cheese at your table. 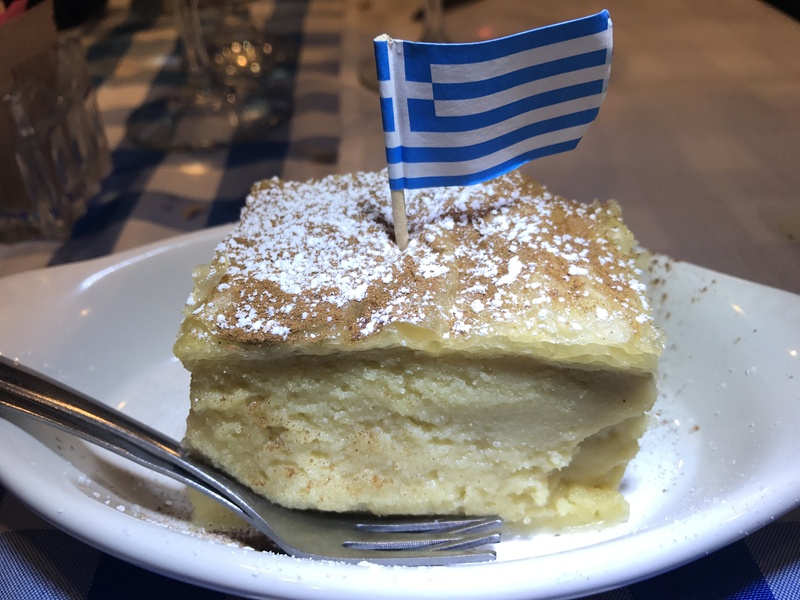 It has a European flavor that’s not common in the states.The Delphi Greek delivers this dish with a flourish and its fun to see everyone’s reaction to the flaming cheese. Being a soup lover, I had to try the Avgolemono. This is a traditional Hellenistic, or Greek, lemon chicken soup. The Delphi Greek does a great Avgolemono. So fresh and just the right amounts of key ingredients. The Avgolemono paired well with the Retsina wine. For a main course, I tried the lamb. 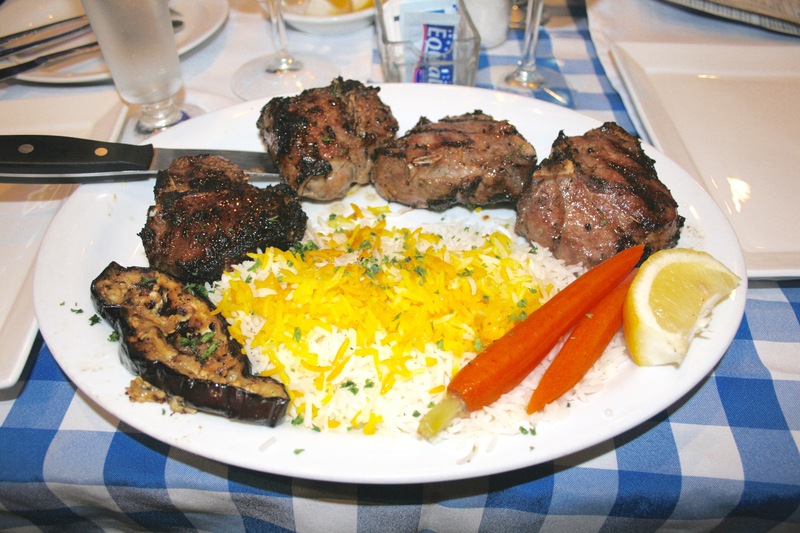 This featured four pieces of lamb marinated in olive oil. This was so delicious. The meat at Delphi Greek is so fresh. I don’t know how Roozbeh does it, but he buys the highest quality meat. The pork chop is also expertly made, and a bit of a top dish at Delphi Greek. The one thing that would surprise people to know about Delphi Greek is its connection to the local political scene. 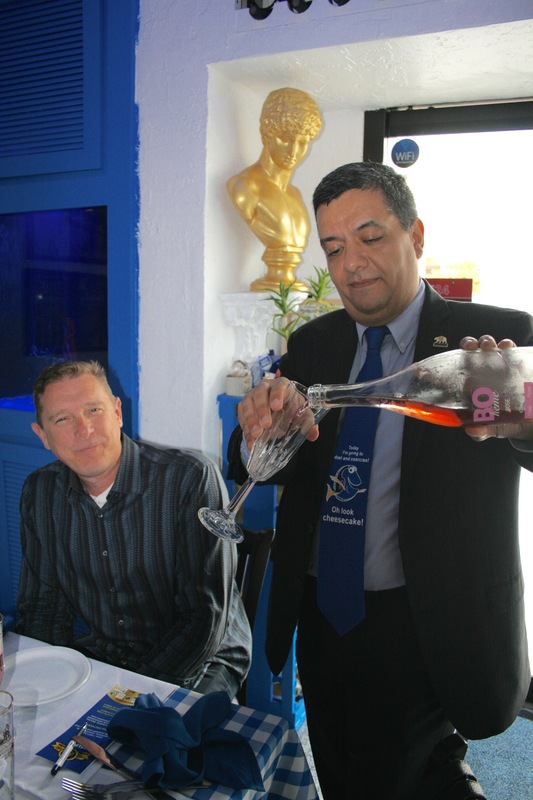 Assemblymen, diplomats and the West Los Angeles Chamber of Commerce often eat at Delphi Greek. Thanks to Roozbeh and his entire staff for putting on a Press Dinner. The food, the company and the journalists were so much fun. Stop by to Delphi Greek in Westwood soon!